The cost of a 30-minute phone consultation is $175. We will send you an electronic invoice, which must be paid prior to confirming your appointment. 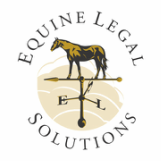 For your convenience, Equine Legal Solutions accepts all major credit cards. The asterisk * fields below are required. Note: We will send you confirmation of the time and date of your consultation. We will do our best accommodate you, but please understand your preferred time/date may not be available. If you are not available when we call at your scheduled consultation time, you may call back during your 30-minute appointment time, but your consultation will end at the scheduled time. If you call back after the 30-minute window, you must reschedule your consultation and pay another consultation fee.